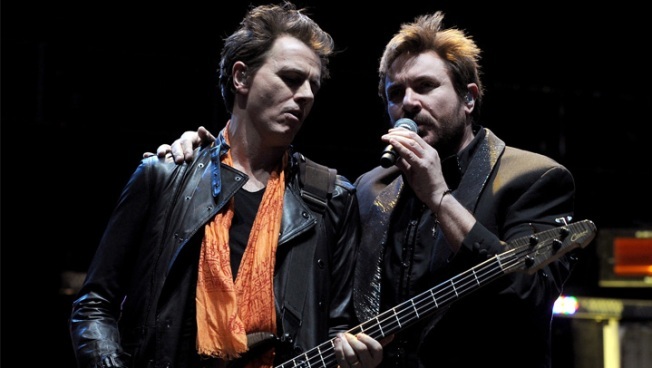 Lead singer Simon Le Bon said the show would be "one of the highlights of the last decade for us"
Duran Duran will headline the opening concert of the London 2012 Olympics. There will be a retro feel at a concert to mark the start of the 2012 London Olympics, with 1980s heartthrobs Duran Duran among the headliners. Organizers said Tuesday that the band, which had hits three decades ago with songs including "Rio" and "The Reflex," will represent England at the July 27 concert in London's Hyde Park, which features acts from each of the four parts of the United Kingdom. Lead singer Simon Le Bon said the show would be "one of the highlights of the last decade for us." The other headliners are Snow Patrol from Northern Ireland, Stereophonics from Wales and Scotland's Paolo Nutini. The games' opening ceremony, taking place across town at the Olympic Stadium, will be broadcast on giant screens at the gig.